All ritual begins with creating a sacred space to safely practice meditation, divination, or anything that takes you on a journey to and through the Divine. A space held by the guardians and watchkeepers of the Four Directions; who will ensure a protected and magical experience for all who enter it. 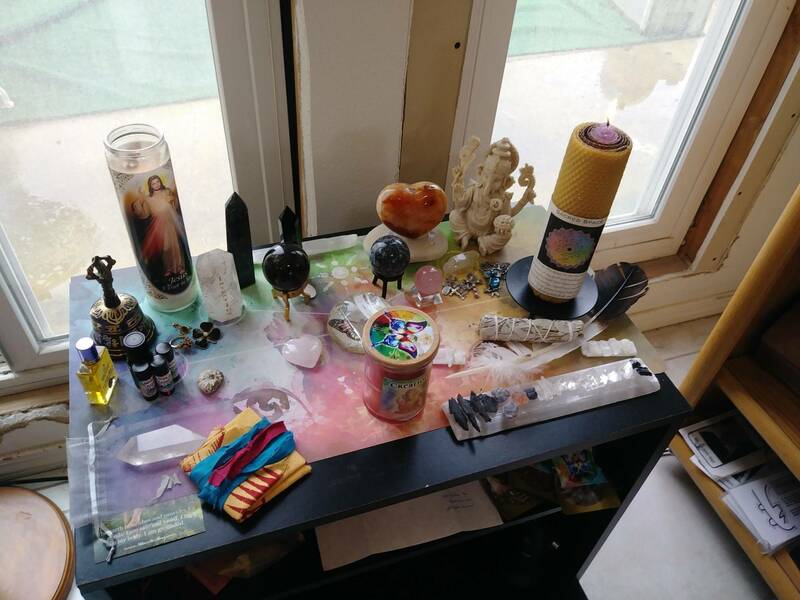 My Sacred Space Ritual Set offers you the tools to help you raise the vibration around special places and spaces in your home, or wherever you practice your magical work. The set includes one (1) Sacred Space Candle (about 8”), hand-rolled with purple, gold, and brown beeswax, and anointed with my Sacred Space Perfume. 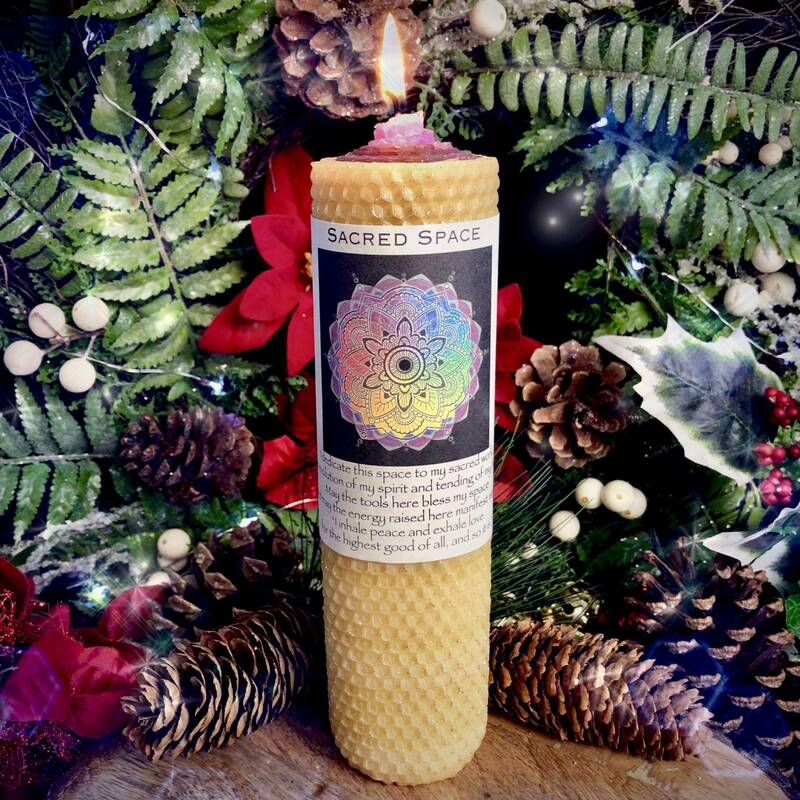 My Sacred Space Candle is also rolled with blue lace agate and obsidian chip stones for peace and protection, then finished with a dressing of clear quartz and tobacco infusion – an offering to the elders and spirits. Next, you will receive one (1) 15 ml bottle of Sacred Space Perfume, a rare blend of mugwort, patchouli, white sage, Peru balsam, and other essential oils. 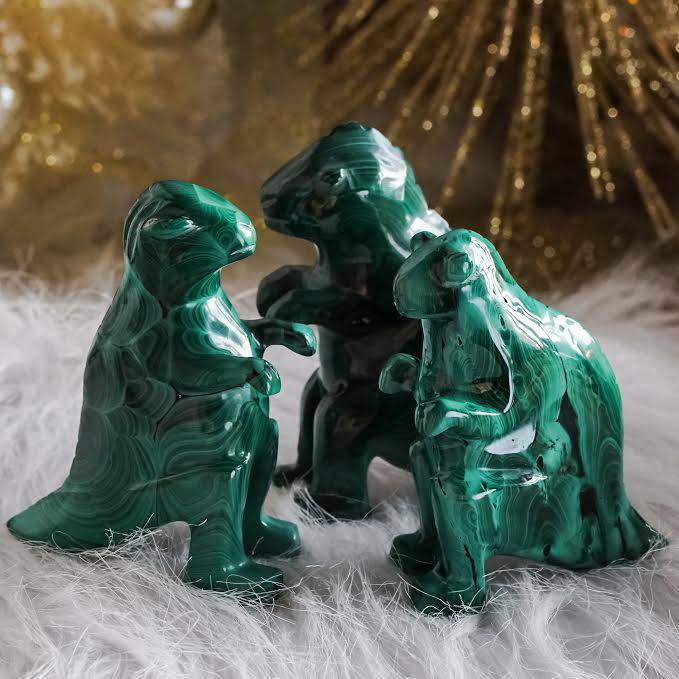 Each bottle is also infused with a leopardskin jasper chip stone to connect you with deep ancient wisdom and ceremonial practice. 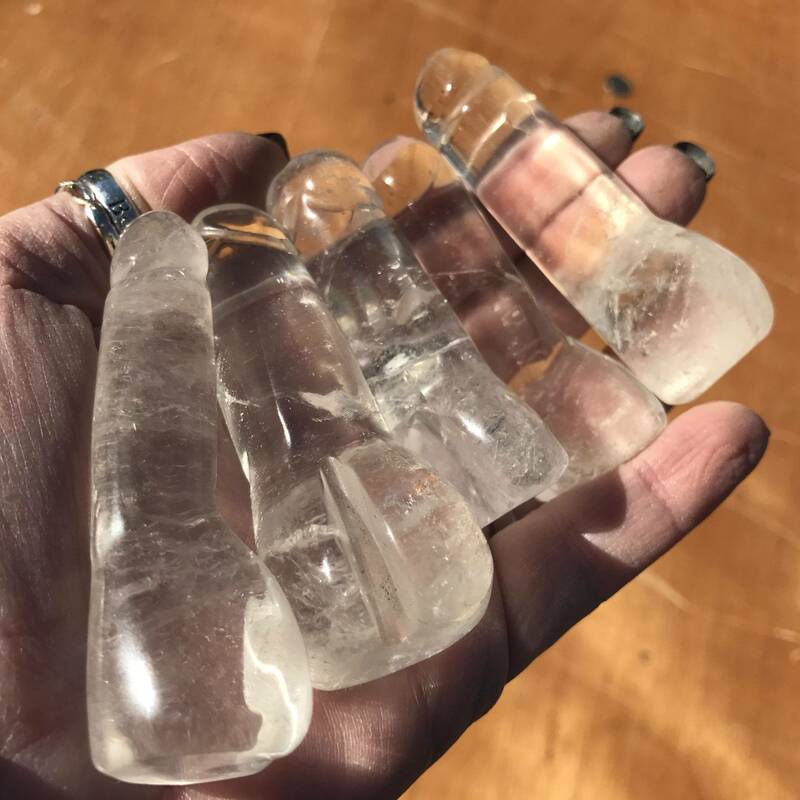 Then you will receive one (1) selenite wand (about 6″) to complete your set. Selenite is known as the Happiness Stone – negative energy cannot persist in its vibrational presence. I personally use selenite to open ritual circle and create sacred space. It’s the best possible tool to use for opening a circle and envisioning the white beam of light surrounding all who gather with you. 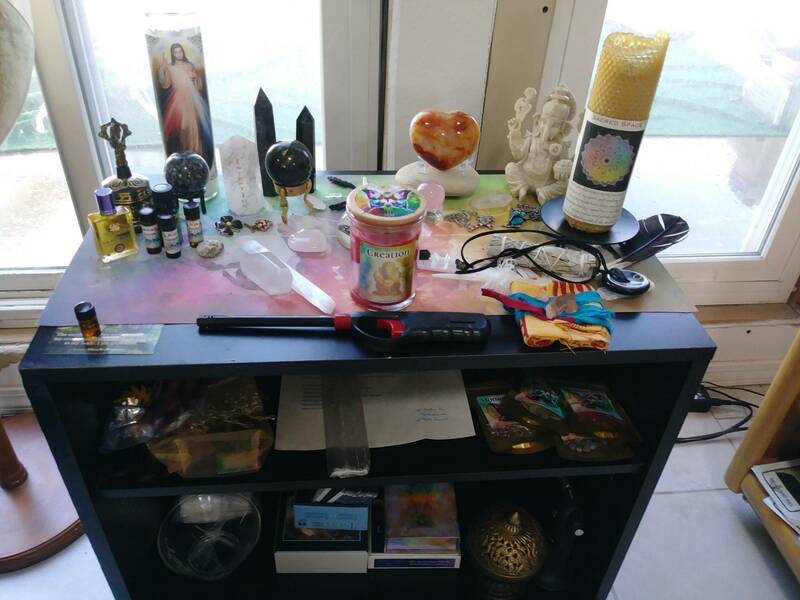 This listing is for one (1) Sacred Space Ritual Set as described above. You also have the option of ordering my Sacred Space Perfume separately. Use the drop-down menu to choose the offering of your choice. Yours will arrive lovingly parceled along with a special instructional parchment for opening and closing sacred space. 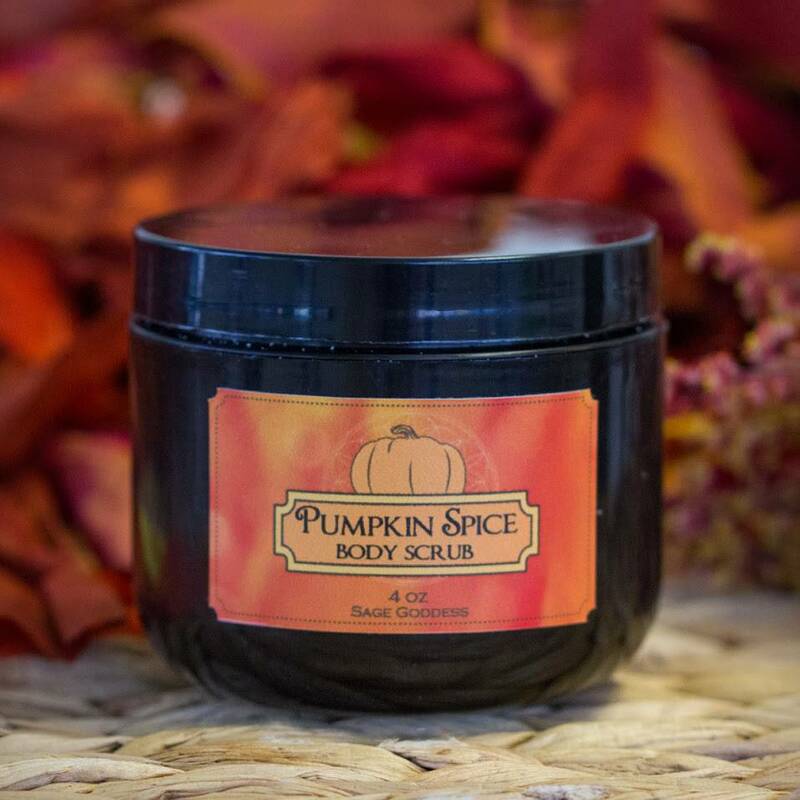 Note: The perfume in this set is made with natural essential and carrier oils and may contain fragrance oils. Cap color, chip stone, and color may vary slightly. For external use only. Please remove label before burning candle, always use a heatproof dish on a stable surface, and never leave a burning candle unattended. Everything is beautiful? Absolutely love the perfume, even 5y/o daughter loves it! Haven’t used it yet as it just arrived today but can’t wait! Love it all! Right now I’m using my set in conjunction with Soul Shift on my Mesa. 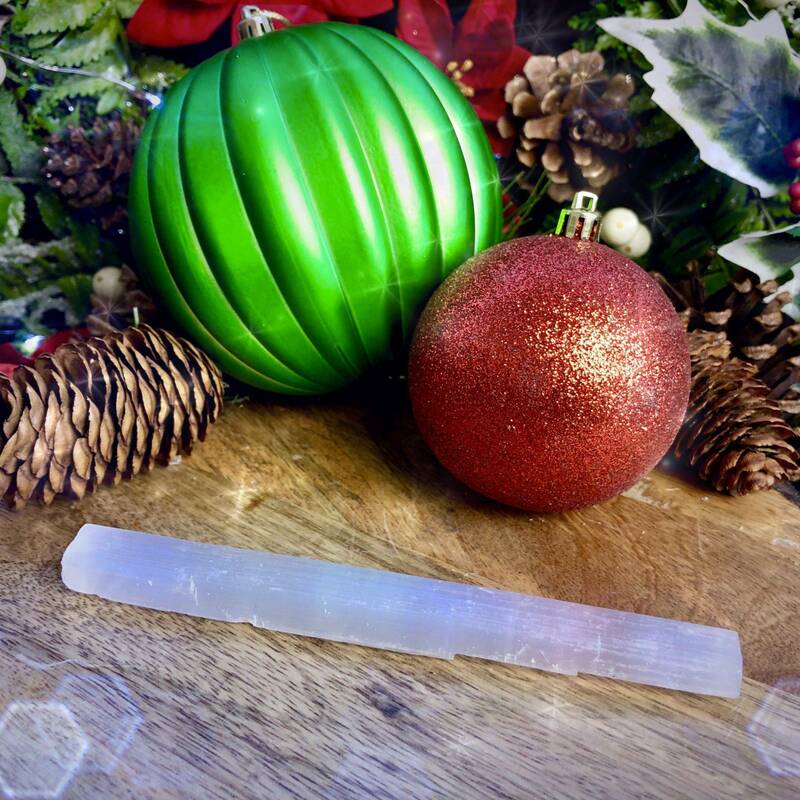 The perfume is wonderful, the selenite is large enough to open and close circle with or cleanse and charge stones on and the candle is stunning! It’s beautiful and sparkly- the gold outer layer is just magnificent. My only wish is that they sold it separately so I could order back ups and ones for my other ceremonial spaces- like mediation. Then I could restock on the perfume as needed as well. Very worth the money. I highly recommend! Beautiful SG. Right now I’m usin my set in conjunction with Soul Shift on my Mesa. 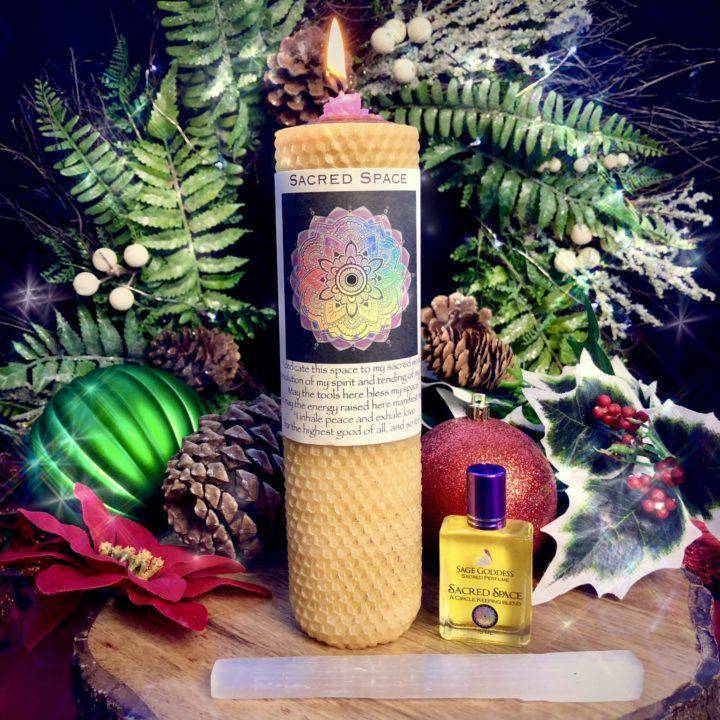 The perfume is wonderful, the selenite is large enough to open and close circle with or cleanse and charge stones on and the candle is stunning! 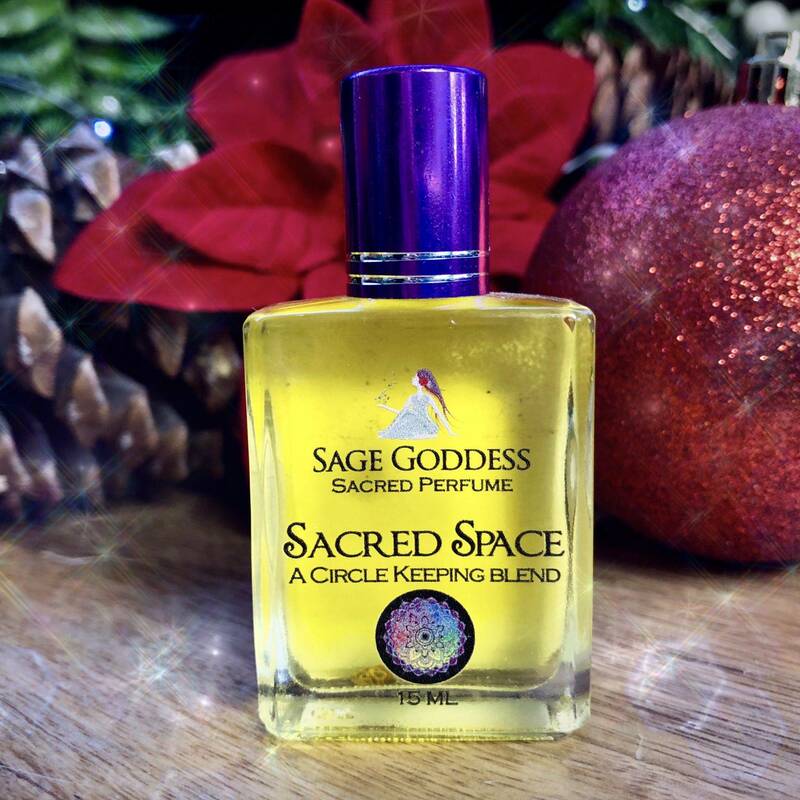 I love sacred space perfume! This perfume is the best SG scent I’ve purchased so far. I love it! Sacred Space Ritual Set is my all time favorite set. It truly does open up a sacred space where warmth is the air and peace and healing are naturally felt.